Some people love to cook; others don’t. 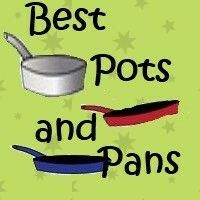 Both types of people want the best cooking pots they can get for different reasons. The person who loves cooking wants the best cooking pots so that they can turn out perfect meals while the person who doesn’t like cooking wants the best cooking pot because they want to cook as fast as possible and still produce awesome meals! There are certain properties that good cookware will require. I’m going to list them in bullet form. Are inexpensive or relatively inexpensive to purchase. Doesn’t cause food to burn. A Stainless Steel Electric Frying Plan is the best, most superior, healthiest, utimate cooking pan for your kitchen! Probably the very best cooking solution is the stainless steel cooking plan. It’s not good with frying eggs but for everything else it’s paradise. You can come home, put a chicken in, a couple of potatoes, peas, and carrots, a whole onion, sprinkle some sea salt, a bay leaf or two, and 45 minutes later, you will have a heavenly sent meal for four. I kid you not. I’ve been using a stainless steel electric frying pan for more about fifteen years and I’m never without one. Also, unlike most electric roasting pans, they are not lined with teflon. Pots that use teflon are extremely dangerous for your health because the teflon breaks off into the food. You do NOT want that in your body or in the bodies of your loved ones. They are carcinogenic. Stainless Steel Electric Frying Pans are easy to clean, never burn food, use very little electricity, and are minimal maintenance. Of course, the cherry on top of all this is that the food it cooks is absolutely delicious because the flavors all meld with each other. A Stainless Steel Electric Frying Pan is the BEST option for a non-cook! It does miracles with food. Most kitchenware today is lined with teflon. I would encourage you never, never, never to use any pot with teflon. As I said before, teflon is carcinogenic. You don’t want to get cancer, do you? Dump them! Get yourself some pots that are safe to use. The great thing about ceramic pots and pans is that they are incredibly easy to clean. They also heat up quickly and you can cook things at a pretty low heat as they don’t require a lot of heat to cook. They tend to be non stick so if it’s really important to fry some eggs, put a dash of butter in your ceramic pan and cook. The eggs come out superbly. If you wish to poach your eggs, that works, too. One issue with ceramic pots is if you use too high heat on them, they’re inclined to burn and then it’s difficult to get the burn off. Well, it’s difficult if you don’t know the secret of how to remove burns from pots. It’s very simple. Cover the bottom of the pot with some water, then sprinkle some bicarbonate of soda (baking soda) on the bottom and leave for a few days. The burn will come off without damaging the pot. Ceramic pots are relatively inexpensive. You can also buy ceramic/ pots and pans at Walmart. Best ever pot to cook your amazing soup in! With FREE old fashioned Chicken Soup recipe! The best soup pot is the 18/10 stainless steel one. I want to give you a quick recipe here for the best chicken soup you have ever had in your entire life. 1 whole chicken with gizzards intact. Combine all of the above ingredients, add water to about 2 inches from the top, and cook at low heat for three to four hours. Check to see if chicken is falling to pieces. If it is, switch off heat and wait for fat on top of soup to congeal. When it is cold, remove all fat. Also remove gizzards that you will not be eating. Simmer at a very low heat for another hour. Cool again. If there is any fat, remove it. This soup will keep for two days on the stove. Constant heating will keep it from getting bacteria. So, for instance, you can heat it up at lunch time, have some, leave it on the stove, have some at supper time, put it in the fridge overnight (or not), reheat it the following day for lunch, then supper, etc. It will serve two or three people for a few days. It’s really inexpensive to do and very, very healthy. The Chicken Soup recipe, by the way, comes down from the 19th century from my late grandmother who passed away in 1963. This chicken soup recipe always reminds me of her. It is soooo good! Stainless Steel Pots for Peole who Looooove cooking. This is the superior choice. 18/10 stainless steel preferred. I once used to use these. I don’t anymore. That’s because I find them incredibly expensive and there are far too many of them. They come in sets and, unless one has a very large family and you're totally inlove with cooking. I think they take up too much space in the kitchen. I’m very much a minimalist, and besides that, I’m not into cooking fancy dishes. That said, stainless steel pots don’t produce carcinogens, heat quickly and well so that you only need to use a very low heat. The stainless steel 18/10 frying pan also makes the best steak ever! I’m not a Cook so these are essentially choices for non-cooks who want quick, perfect meals! Because I’m not a cook and don’t particularly love cooking, this is the full extent of my cooking knowledge. I can tell you that my cooking is quick, delicious, and healthy! It’s also eco-friendly, gets rid of the clutter in your kitchen because you seriously don’t need more than this (I own the stainless steel electric frying pan, a ceramic frying pan (for eggs), and the soup pot. It keeps me fed! 2uesday, didn't know that about pasta. I'm gluten intolerant so it's not something I use very often. I would never again use an electric skillet with teflon because the teflon comes off in the food. I've been using stainless steel ones for about 15 years. They're outstanding! Thanks for the article, Tess. I hate to cook, but I do need a larger soup pot. I'll check these out. by Tessa Schlesinger. Best Sewing Machine for Beginners. What to look for in a sewing machine, and how to know whether it's a good sewing machine or not.